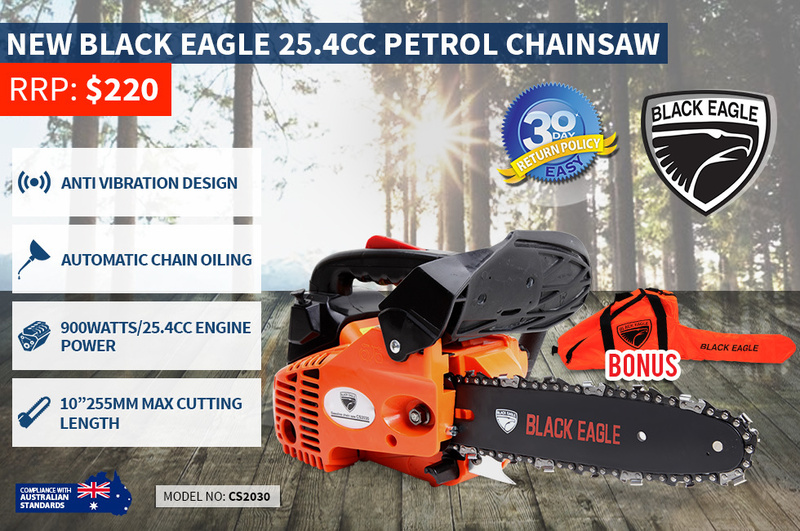 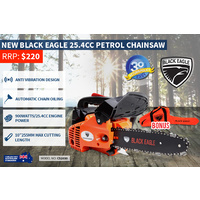 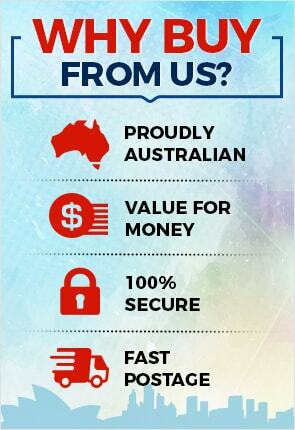 The Black Eagle 25.4cc petrol chainsaw has been manufactured using best quality components, designed to last in Australia’s toughest conditions. 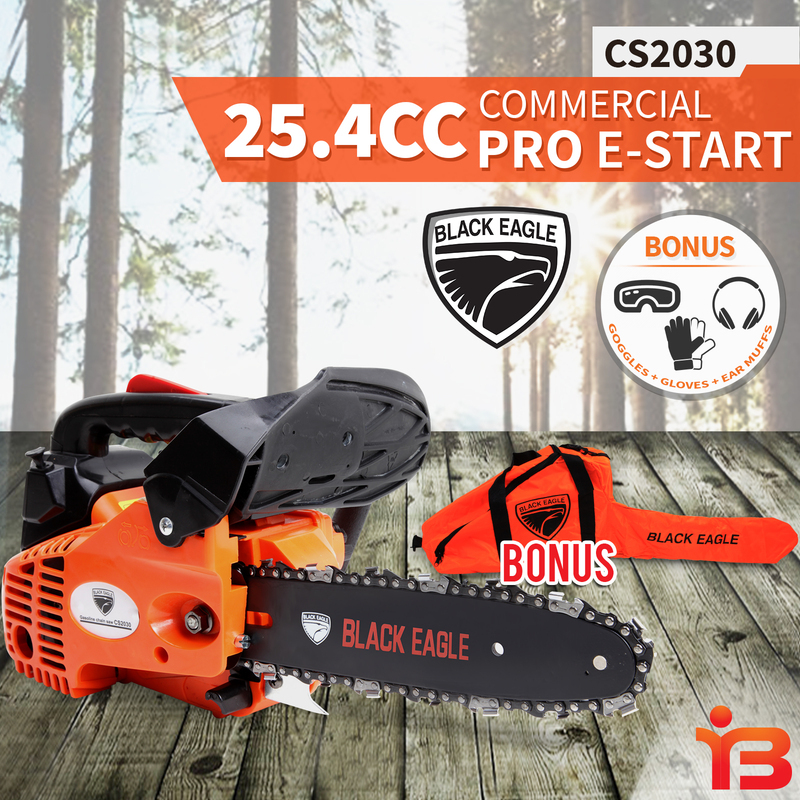 This is one of the best chainsaw in the market designed for cutting small logs and saw timber, It can also be used for felling small trees and trimming tree branches. 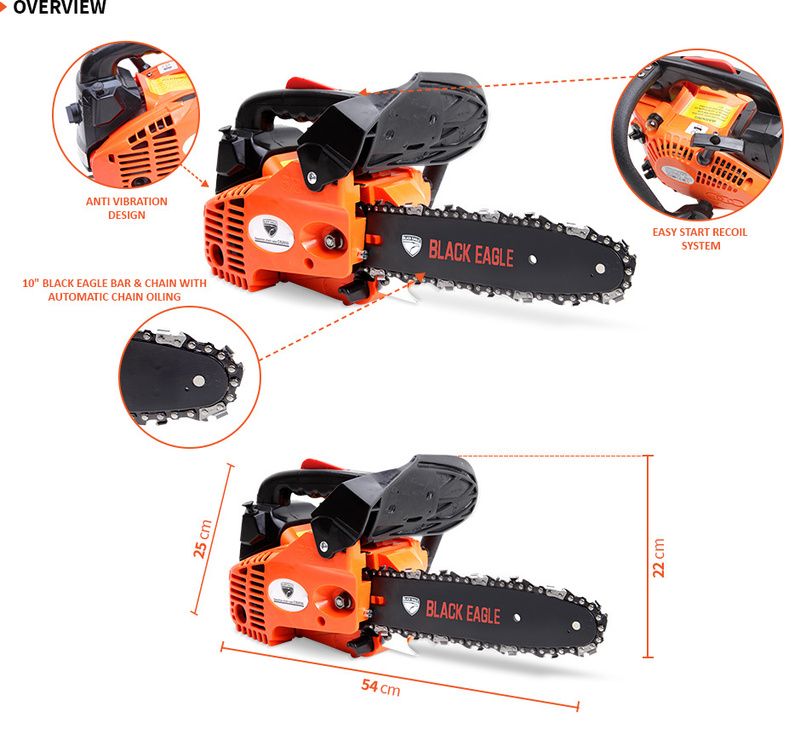 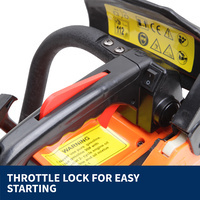 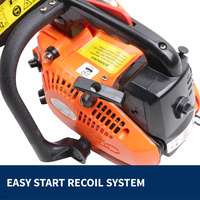 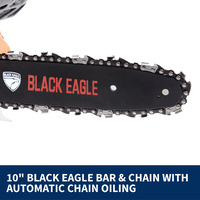 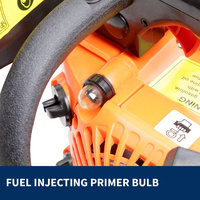 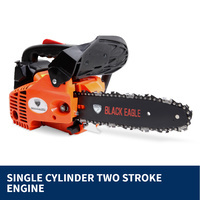 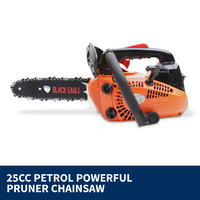 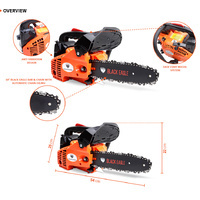 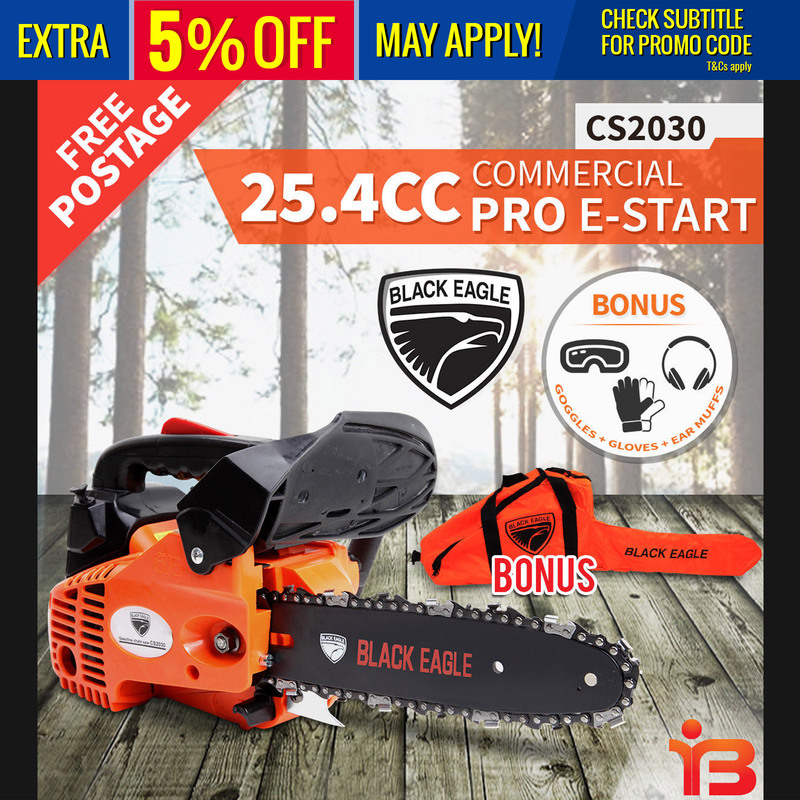 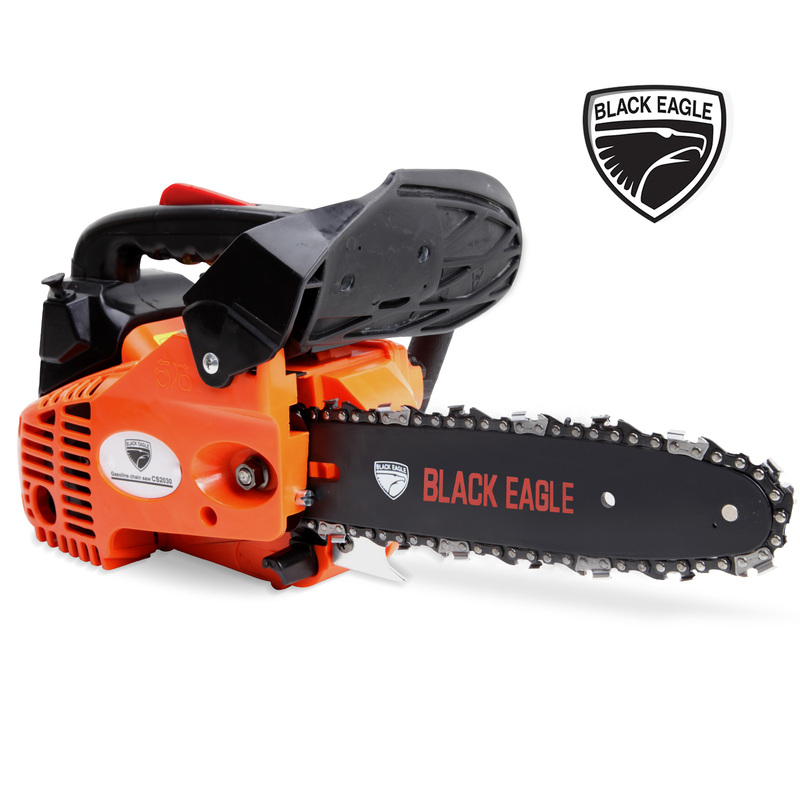 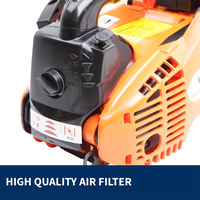 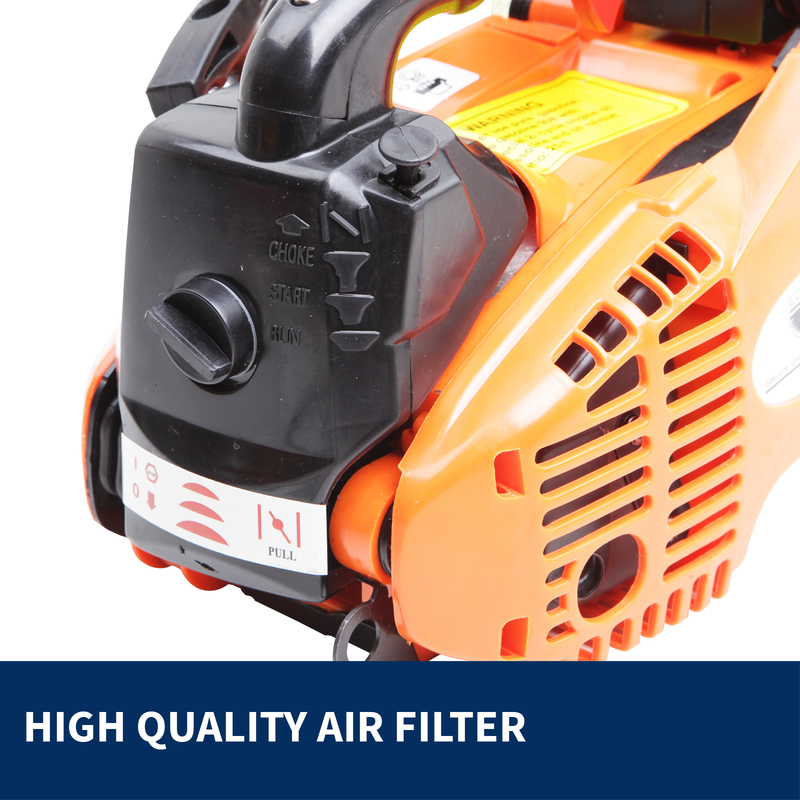 When it comes to tough cutting challenges nothing beats the speed and power of a Black Eagle chainsaw, Fuel injecting primer and recoil starter allows the motor to be started with ease. 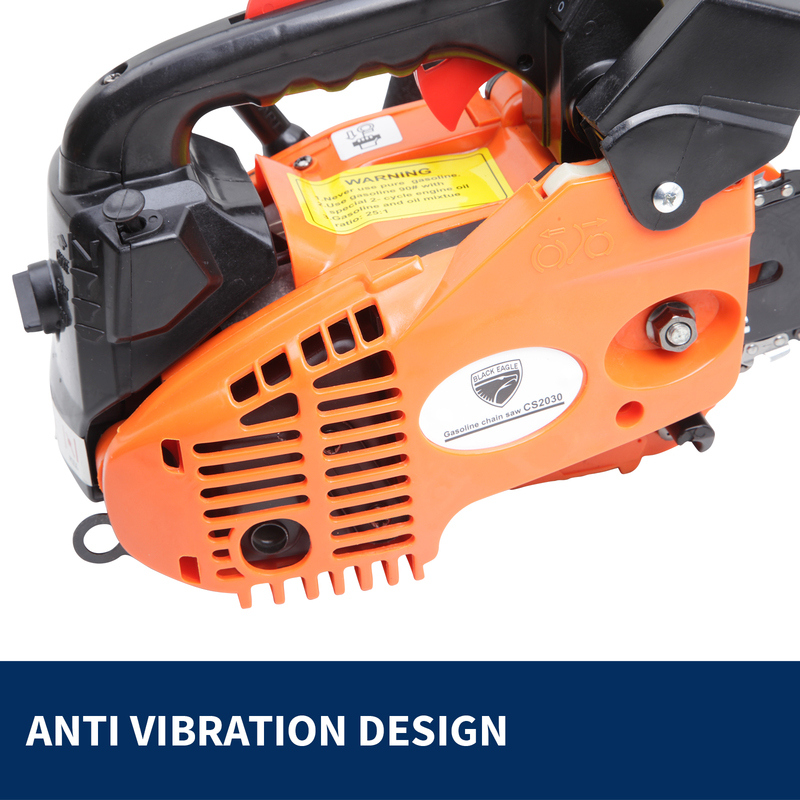 Automatic oiler provides constant lubrication to the bar and chain when the saw is running Anti-vibration handle absorbs vibration during operation. 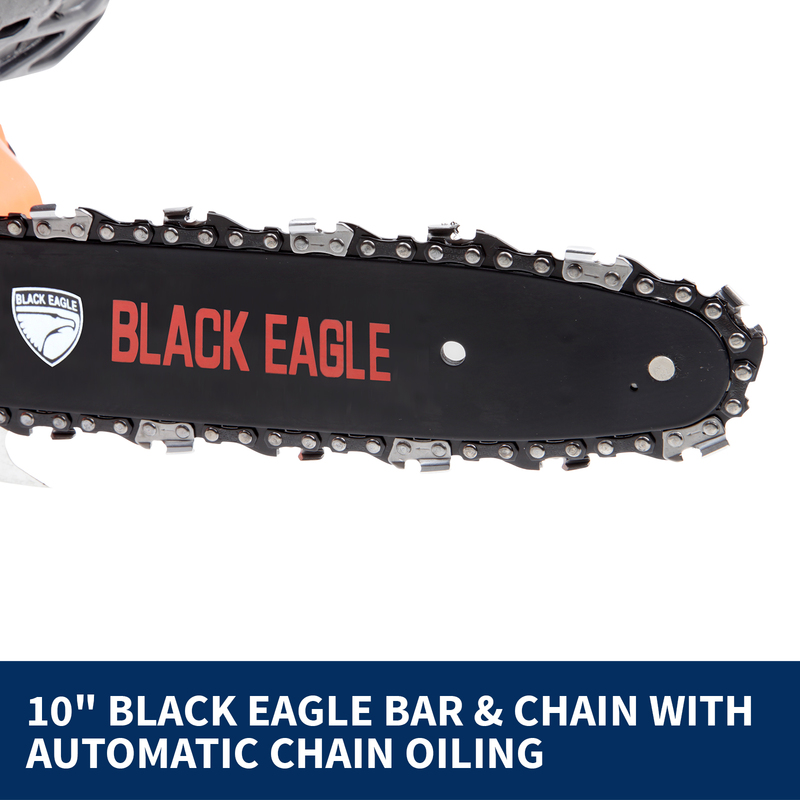 The Black Eagle chain saw provide more power and mobility than many other chain saws in the market, This chainsaw with its light weight of 3.7 KG can tackle any task with ease.